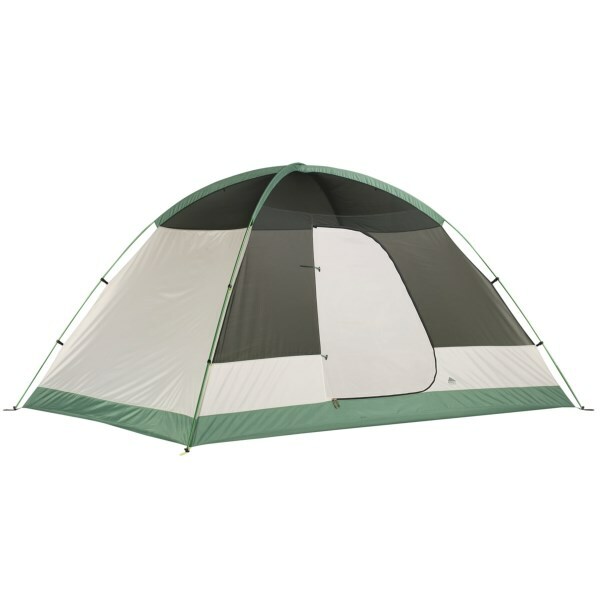 Lightweight, high quality tent with lots of room. 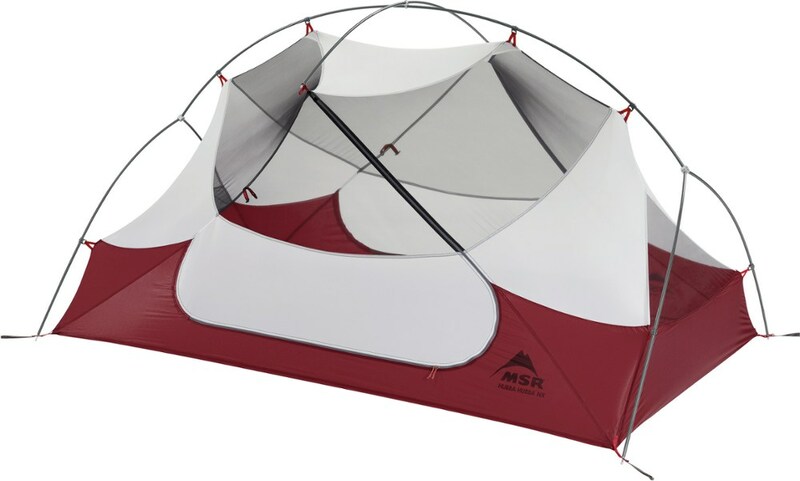 Lightweight, high quality tent with lots of room. The footprint is impossible to find at the moment so either make your own out of Tyvek, or temporarily use a footprint from a similar 2-man tent if you have one (I used my Marmot Limelight footprint - not ideal but it worked). The Kelty TraiLogic TN2 tent is a Backpacker Magazine Editor's Choice winner with some good reason. The tent fly rolls up on the head end and is secured at the top of the tent, and can also be closed by 2 people without ever leaving the tent. 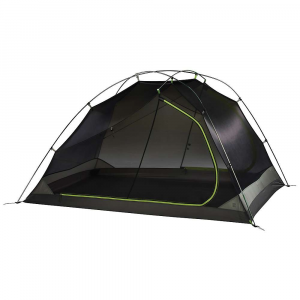 This tent is a quick and easy setup for 1 person but if you're buying a new one, don't expect to find a footprint (not included). Neither the manufacturer nor any retailers have it available and I can't find anyone who can tell me when it would be. I consider this very poor planning on Kelty's part. The bathtub floor only rises up on the walls about 4 inches, and unless you completely guy out the bottom of the fly at both the head and foot, rain splashes up underneath it far enough to get through the mesh wall. And if you do have to guy it, don't expect to take advantage of the bedtime star watching opportunities without the effort of removing the guy lines, and don't expect to be able to put the fly down in the middle of the night without climbing out to reattach the guy lines. Once we guyed out the fly, we didn't get wet at all - no leaks through the floor, walls, corners, seams, fly. 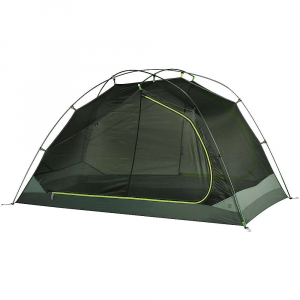 I love how compact and light this tent is (around 4 lbs) and there's a fast pitch option (provided you can find the fly) that would lighten it even more. The whole tent fits in an 11x14" rectangular bag that easily fits into a backpack without taking up a whole lot of room. I also love the fact that the tent has 2 good sized vestibules, 2 doors (one larger than the other), and nearly vertical walls. 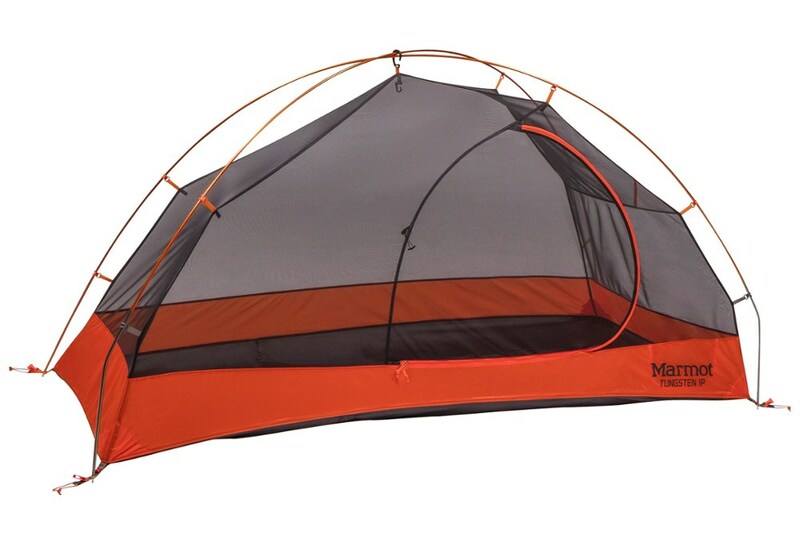 All that mesh and the vertical walls makes the TN2 seem huge for a 2-person tent. I wanted to be able to give this tent 5 stars because I really do love it. I've been a Kelty fan for a number of years and I think that overall they've done a great job with this product too. I can't give them a 4 or 5 rating because of the rain splashing under the fly, and because of the issue with not being able to get a footprint. If I'd been able to get the footprint, I'd have given it a 4.5 instead of a 3.5 rating but I'm a bit bent by what seems to be Kelty's serious lack of planning. UPDATE: I just bumped my rating to 4 stars thanks to Kelty's great customer service. I called to find out why I can still find plenty of tents online but not a single merchant who has the footprint. I explained I'd signed up to get email notifications from the only 2 merchants who offered to alert me when they got the footprints in but hadn't received anything. I also voiced my dissatisfaction that this appeared to be very poor planning on Kelty's part. The CSR was very apologetic but told me they weren't expecting to get any in before December 10th. When I told him I'd looked everywhere and not a single merchant had them or could tell me when they expected them, he did his own quick online search and immediately found one at Amazon (yeah, they were one of the merchants who said I'd get an email notification - still nothing in my inbox). He suggested I hurry and order it since the cost was lower than if I waited until December to order one directly from them. I paid $26 USD plus $5.58 shipping whereas Kelty has the cost listed at $39.95. Thanks, Kelty - I remain one of your many loyal customers! Thanks for the review, Utah. I hammock camp, but I do have a Kelty tent that I found to be pretty good. Utah, I was curious about the design of how the tent packs up and how it would work in one's pack. What's the thickness of the 11x14 bag? Have you just kept it up against the back of your pack? Great review and update! This two-person tent has performed flawlessly. Must get used to getting out of the tent. I read numerous reviews on a ton of backpacking tents. I wanted something lightweight and big enough for two people, but I didn't want to break the bank. This tent has more than met my expectations. I live in Texas where it is hot most of the year. The first time we took this out it didn't drop below 75 at night. Luckily we could roll back the rain cover and get a nice breeze coming through. We are going to Big Bend this December and look forward to seeing how it holds up in the cold. I love the design of the bag. First off, everything fits back into the bag so easily and I can include the footprint (purchased separately) without issue. Also, the square design makes it very easy to pack. Lastly, the setup is very easy and takes about 10 minutes or less to put together. If you are struggling with it, go to you tube and watch someone put it together. Once you see it once you'll have it down. Great review, William! Thanks for taking the time to share so much helpful info about your Kelty tent. I hope that helps. If not, please let me know. This tent is fun. I have multiple tents but this one is too user-friendly to skip on. The color coding and special features make this my go-to tent for backpacking with friends and car camping with the wife. The hangable storage unit is great and big, but is not built in which makes is vulnerable to losing. I've used the TN2 multiple times and the durability mixed with the user-friendly setup and features leaves no room for disappointment. It serves every need from backpacking as a couple to car camping. The setup is color coded and clean. You couldn't possibly have a need for the instructions once you've set it up once. I've even had to set up in the dark and once in the rain. It's simple and smart design is dummy proof. Breathability is not debatable. Full screen interior design with fully waterproof shell makes it perfect. In the summer I don't even use the rainfly on clear nights. Lightweight stakes, poles, and everything in between keep it very light. It does make the tent less durable, so if you're after something very strong for car coming only, then these lightweight features may seem pointless. Huge vestibule (2) make room for any size pack. You can't fit a bike under it, but you won't have to worry about its size compared to comparable tents. If my wife and I can "fit" then any two people can fit. We even fit a queen air mattress inside the tent once. You won't have room for gear or packs, but that is what the vestibule is for. I am mostly a car camper with a dog and family of five. I rarely go without my family but cannot get enough of it. Welcome to Trailspace, Ben! Can you tell us how you received the tent from Kelty? Thanks! Probably one of the best tents I have ever owned. Probably one of the best tents I have ever owned. Easy to set up alone, dry in the wet, no condensation problems at night, and not too heavy. The design is well thought out and there are many great features. My only gripe is that it is not built for anyone taller than 6', as your head/feet will likely touch the front and back of the tent. Welcome to Trailspace, Alby. I'm 6'2" so I'll steer clear of this unit. Upgrade over big heavy tent, but not what I was expecting from Kelty. I had a three-man Wal-Mart special 'backpacking' tent that weighed in around 9 lbs. Since my son has started going on backpacking trips with his Boy Scout Troop, I wanted ... no ... needed something smaller and lighter. The one thing I loved about the big heavy tent was that it had zippered windows so before I fell asleep I could lay and watch the stars. So I was drawn to the Kelty TN2 tent. I looked at others and poked around the tents that people in the Troop used. I kept coming back to the TN2 for the star gazer fly. Setup is easy, 1 hubbed pole that sort of self assembles itself, and 1 small pole for the fly all color coded so you know which end is which. Goes up quick and painless. Haven't had it through any strong storms so not sure how dry it will stay, but had it through a stiff wind and some slight sprinkles and no real issues. The little square bag was pretty cool at first, much more contained than my old setup. But after the first trip out the square bag went into the garbage and replaced with a stuff sack. Getting the tent in and out of the square bag was more trouble than it was worth and it took up a huge amount of room in my pack. Now with the tent, fly and ground cover all rolled up together it's a touch smaller and can get hung from the back of my pack with ease. The Star Gazer fly is nice to have, but so far I haven't had decent enough weather to make it worth having it open. Peaceful summer weather might be a different story. 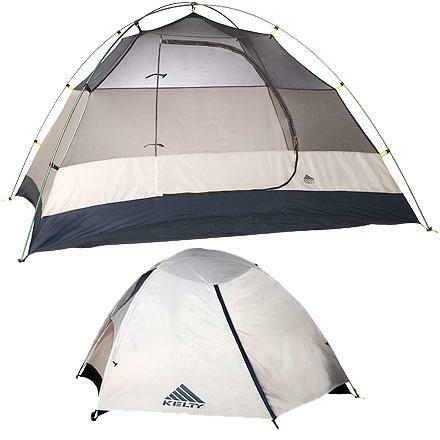 Kelty claims it's a 2-man tent and we all know that really means 1 person, 2 in an emergency. The length of the tent is suppose to be 6'11" but at 6' even I don't fit in the tent. Either my head or my feet touch the tent. So I'm forced to sleep diagonally across the tent and even then I tend to wake up with my feet or my head up against the tent. I am able to sit completely up and change without much effort. It's a bit heavy at nearly 5 lbs with the footprint, but I knew that going in and felt the star gazer was worth a few extra pounds. After a few uses I'm not sure that's the case. Fortunately, I got it on sale and paid about 1/2 price for it. It's an upgrade over my big heavy Wal-Mart tent, but I'm not sure I'd buy it again or recommend it to others. UPDATE 4/26/15: OK, so couple nights in the rain and I was dry inside! First night was mainly drizzle very little wind. Nothing too major but very happy to see I could get in and out without getting water inside. It rained sideways pretty much all morning. The second day, had a few tents in puddles and some with wet floors, wet sleeping bags and wet cloths. Mine too was in a puddle and as I apprehensively zipped open the fly; I figured I was in for a cold, wet night. Amazingly, the only water in the tent came off my wet rain gear .... doh .... after helping others move their tents to dryer ground ... heck ... I just left mine in the puddle and took off my rain gear before I got in. All night in the puddle and no water in my tent. When I packed up the next morning, the Kelty ground cover was pretty much soaked but the tent bottom was fairly dry considering where I slept. Still no decent chance to use the Star Gazer, still a bit smaller than I thought it would be, still a tiny bit heavier than others, but it kept me dry and well heck that's what a tent is for isn't it? Thanks for sharing your experience with this tent so far, Kent. I hope you'll let us know if your impressions change of it. Thanks for the update, Kent. Great design, but smaller than advertised. This appears to be a well-constructed tent, and the stargazing fly is a genius idea. When I did a practice pitch in my yard and put my 77" Therm-a-Rest pad in the tent, though, it seemed like a tighter fit than it should be. Sure enough, the tent floor on mine measured 81.5" x 48" at the widest, and that was being generous with how I was measuring, and I had the tent fully staked out. The narrow end was likewise a couple of inches narrower than stated. On top of that, mine arrived with a couple of small holes in the mesh of the large door. I might have just exchanged it if it weren't for the smaller than advertised dimensions, because I really like the design. 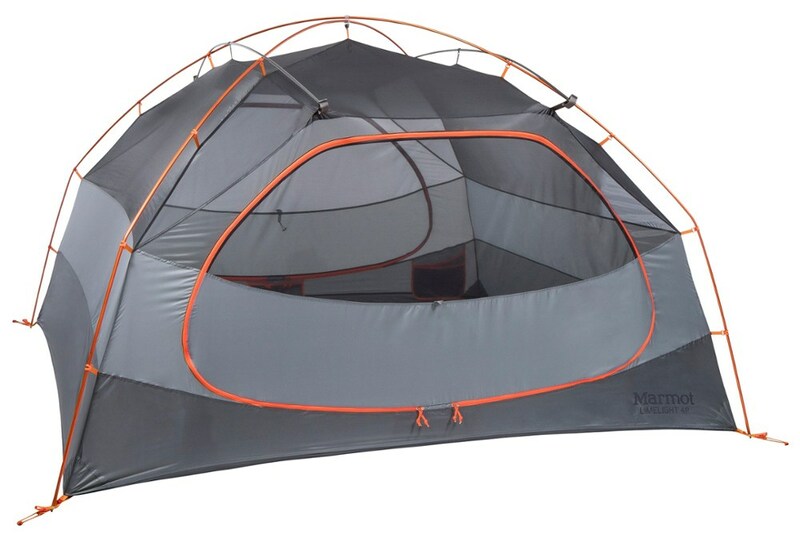 If you have a regular 72x20 pad and you aren't very tall, this tent might be great for you — however, though I'm only 5'11", I felt the tent's actual length wouldn't work for me. Easy to use, not very heavy backpacking tent. It comes with the star gazing rain fly which is great! Setup is super easy with this tent. Kelty has color coordinated poles, tent, and rain fly so that putting it together is really simple. The color coordination is not obscene or obvious so no one will know that it is there unless they are putting the tent up. The tent has the ability to keep the rain fly rolled up and out of the way so that you can view the stars at night. If the weather turns you simply stick your arms out and roll it down to clip it. Very simple to use, and it was awesome to see the stars at night. The size for width is great. My wife and I fit really well with space to spare. It has two vestibules for gear storage as well. The only downside is that the tent is not as long as advertised. I think it was supposed to be 6'11". I am 6'4" and my head and feet were touching the first one on both ends (they were sicking far out). Kelty, which has amazing customer service, sent us a new one which was better, but still not the advertised length. We have used the tent in fair weather in the mountains outside of Salt Lake City. It seems like it will hold up just fine in bad weather. Welcome to Trailspace, Mike! Thanks for the review. Great two-person tent. Very lightweight yet spacious. Rain fly can pool if not set up correctly. Recently bought the Trailogic TN2 and used it to to do some car camping in the Tetons and Yellowstone. Rained a lot one of the nights and the tent held up great. Best features are that it is easy to set up and very spacious inside and in vestibules. I have yet to try the stargazing mode but I am excited to use it. One problem was that water did pool in the top of the rain fly. This could have been an error in the setup. The fly as a whole did not stay up off the tent very well when wet. Regardless, I am excited for this tent and look forward to using it more.